This gorgeous pink patchwork quilt with matching pillowsham for girls is from the angel range. 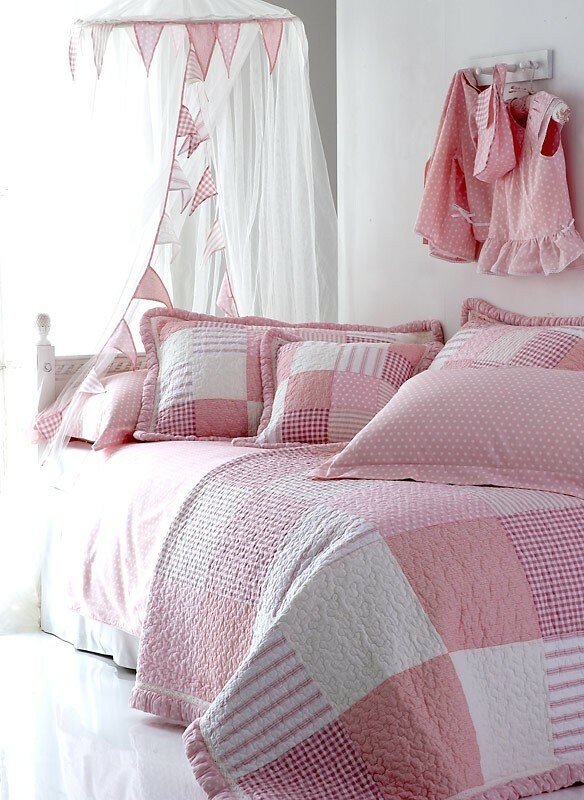 With patchwork squares of pink gingham, pink and white stripes, polka dots, white flowers and other pink and white squares, this lovely chic pillowsham and bedspread set really is fit for an angel. The girls quilt offers great warmth at night and is an eye-catching decorative item with it's pink and white polka dot border.